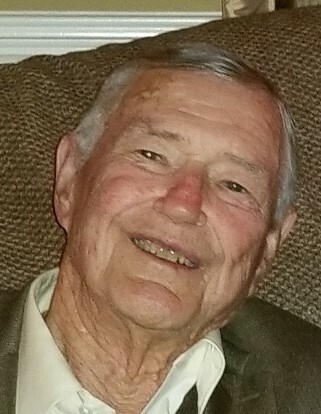 John F. McGarity (86) died peacefully September 8, 2018 in his favorite chair while overlooking the western North Carolina mountains. He was waiting on friends to arrive at his home for a dinner party he and Bonny had prepared. This was a place that gave him happiness, and he is now with God in an even better place. John was born in West Virginia. He was the youngest of four and was raised in Cordele, GA after losing both his parents at a young age. His wonderful older sister, Carolyn, and Dr Robert Margeson took him in, and he graduated from Marietta High School while living with them. With grit and fortitude (and no money), he worked his way through Georgia Tech graduating in 1953 with an Industrial Management degree. John was appointed as a Second Lieutenant on April 21, 1953 and graduated from USAF Army Flight training on October 8, 1954 in San Marcos, TX. He was then deployed to Bamberg, Germany with his bride, Anne, and young son to the Warner Barrack, a sub-community of Frankfurt, Nuremberg and Wurzberg. There John flew an L-19 airplane in the Tenth Infantry Division as a Field Artillery spotter. He was promoted to 1st Lieutenant in June of 1957 and was Honorably Discharged after his deployment in Bamberg ended. John then went to work for Owens Illinois and served in several different locations in Illinois rising to plant manager in Edwardsville, Illinois. His older brother, Henry, made John an “offer he couldn’t refuse” to come back to Georgia as a partner in a manufacturer’s representative firm, and John jumped at that opportunity and moved his wife, Anne Baird McGarity, and their three children to Lawrenceville, GA in l964 where they lived for many years. John remained an active pilot for many years owning a Mooney Super 21 flying out of Briscoe Field, and he always loved flying. John married Anne Baird in the early 50’s, and they had 3 children. After the 3 children finished high school, he and Anne moved to Gainesville, GA and lived on Lake Lanier where all the family loved to visit for family time, boating and holidays. John was active in his community and serving on many boards like Kiwanis, Executive Board for the Hall Chamber of Commerce, several Bank Boards and President of the Chattahoochee Country Club in 1995-1996, a place he dearly loved as an active golf and social member. Unfortunately, Anne died young and suddenly from Leukemia in 1995. John met Margaret Grimes in 1996 and immediately they knew they were meant to be and married. John and Margaret spent many happy years in Highlands, NC and finally Dahlonega, GA where they were active members and residents of Achasta Country Club. Sadly, Margaret fought an 8-year battle with Ovarian Cancer and died in 2014 leaving John again a widower. Thankfully, John met Bonny Gibson in 2015, and a spark was ablaze. In July of 2015, the two married at Highland Falls Country Club among family and friends, and they lived there happily until his death. John and Bonny split time between Highlands, NC and Macon, GA, and he dearly loved “mountain living” and his time with Bonny, her family, his three children, 6 grandchildren and three great grandchildren. John was an active member of Highlands Presbyterian Church and Highland Falls Country Club. He loved Georgia Tech athletics, golfing over many years with friends and family at CCC, Achasta and Scotland or Pebble Beach. He loved his Irish heritage and like a good Irishman, a wee bit of Makers Mark and Ginger. He also loved his dogs Jack and Moxie and spent many an hour running them from his golf cart. He was the founder of McGarity’s Business Products in 1979 (Gainesville), a business later bought by his son Scott McGarity when John retired in 1995. John was many things to many people. Feisty, gritty, tough, squeamish, loving, fiery, friend, father, grandfather, aviator, golfer, husband, entrepreneur, veteran, patriot, and Daddy John. John was survived by Bonny Gibson McGarity, his three Children, John Michael McGarity (Caryn), William Scott McGarity (Cami) and Carrie McGarity Woodcock (Larry), six grandchildren, Katherine Elizabeth Weber (Logan), Dr. John Michael McGarity, Jr. (Shohba), Raleigh McGarity Merchant (Colby), Gracie McGarity, Michael Arteaga and Jennifer Woodcock and three great granddaughters, Ava, Anna and Sophia Weber. Visitation will be held from 5pm-7pm at Little -Davenport Funeral Home,355 Dawsonville Hwy Wednesday, September 12, 2018 and a Memorial Service 10am Thursday, September 13, 2018 at Gainesville First United Methodist Church in Gainesville, GA. In Lieu of flowers, donations can be made to Wounded Warrior Project (woundedwarrirorproject.org).